Mast Cell Tumor that Causes Skin Cancer in Dogs Breakthrough? Could the results of a unique new study that looks at mast cell tumors — which cause a common skin cancer in dogs — lead to drugs that could someday cure the disease? A recent research study has contributed “an important piece” in the “mast cell tumor jigsaw,” according to Mike Starkey, head of molecular oncology at the Animal Health Trust Center for Small Animal Studies. The research, says Starkey, provides an insight into the types of drug that may prevent tumors from spreading. “It is the first study that has been really able to look at the genetic changes that promote the metastasis of cutaneous mast cell tumors, one of the most common tumors in dogs,” Starkey notes. The research was conducted in conjunction with the University of Liverpool Small Animal Teaching Hospital clinical oncology units, and was published in the journal PLOS One. Mast cells have been called the Jekyll and Hyde of tumor growth because they can be both beneficial and detrimental in a tumor. “Mast cells are involved in the body’s immune responses to bacteria, ticks and intestinal parasitic worms, but they also cause allergic reactions that contribute to diseases such as asthma, rhinitis and atopic dermatitis,” explains Starkey. The mast cell tumors included in the research study were from 12 breeds, including Labrador and golden retrievers, and boxers, and 6 cross breeds. As for why the research is so promising, Starkey says that “by identifying genes for which a change in gene product level is associated with cutaneous mast cell tumor metastasis, we have identified targets for potential new drugs designed to prevent mast cell tumor metastasis. “A number of the genes identified are known to be involved in the metastasis of human tumors and drugs targeting some of these genes are already in clinical trials, or being investigated in preclinical studies. Such drugs could ultimately be trialed on dogs with mast cell tumors that are predicted to metastasize,” he notes. What’s next for the researchers? “In our research study we showed that by considering the levels of 19 gene products in a primary mast cell tumor it was possible to accurately determine if the mast cell tumor was a tumor that did, or did not, metastasize,” says Starkey. “In the next stage of our research we want to demonstrate that measuring the levels of these 19 gene products, or a smaller subset of them, can consistently accurately determine if a mast cell tumor is one that metastasized, or did not metastasize. To do this we hope to secure the help of vets to assemble a new, larger group of primary cutaneous mast cell tumors that are known definitively to have, or have not, metastasized. We hope that this research will lead to the development of test that will predict whether a cutaneous mast cell tumor will metastasize with an extremely high degree of accuracy, and that could be run on fine needle aspirates of mast cell tumors (collected without anesthesia and surgery). 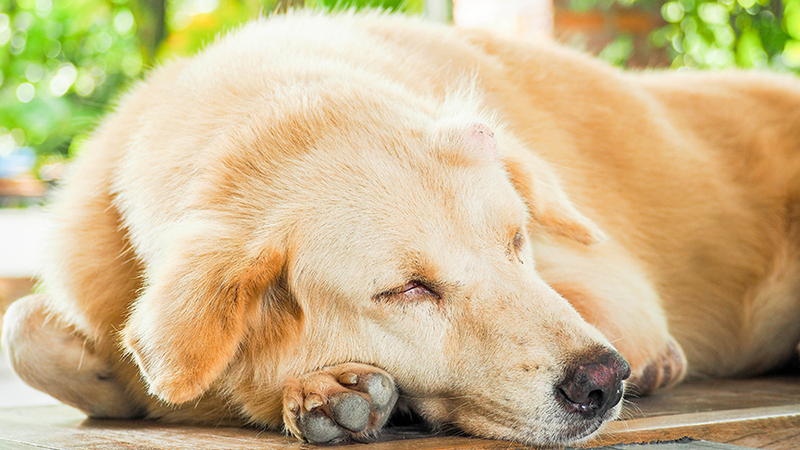 Read our overview of Canine Multicentric Lymphoma.